In this Posting, the Matter-Being definition and pictures of Biophotons as related to Free Will and Faraday Cage will be illustrated. We shall start with a Biophoton literature review from the following two sources as quoted below. The topic of bio-informational aspects of photon emission has a history of more than eighty years. It is an example of a research topic that is inadequately studied within mainstream biology. … Despite serious experimental difficulties it is now clear to every scientist working in this field that photon emission could be detected from nearly all-living cells. … Gurwitsch’s idea of bio-information of photon emission. Bio-photons are characterized by their quantum character and are supposed to escape from a coherent field. … . Consequently, the model of a coherent biophoton field, providing the basic communication of the cells in an organism, might help to understand cancer growth in terms of rather fundamental properties of a coherent field. Emission of photons in the visible range by animal cells and tissues has been described for a variety of organs and by many authors. By the use of photomultiplier tubes (PMT) emission has been readily detected from liver, heart, lung, nerve, and muscle. Re­cently there have been observations of biophotons from human skin for fundamental study, and for pos­sible diagnostic applications in connection with acupuncture. … The biophysical model for inter- and intra-cellular com­munication by Nagl and Popp postulated that the biophoton is trapped and emitted by a cellular physical resonance device, namely DNA, which results in biopho­ton emission with a high degree of coherence. … The acupoints and the meridians have been investi­gated for their physical properties by various people. The most prominent feature is that they have lower electrical impedance, compared with non-meridian points. They have other peculiarities, such as higher CO2 production, more biophoton emission at the acupoints, and bet­ter propagation of acoustic waves, etc. … As pointed out by Presman, there may be a sys­tem of communication that sends messages to all organs, including those perhaps not directly connected with the nerve network. 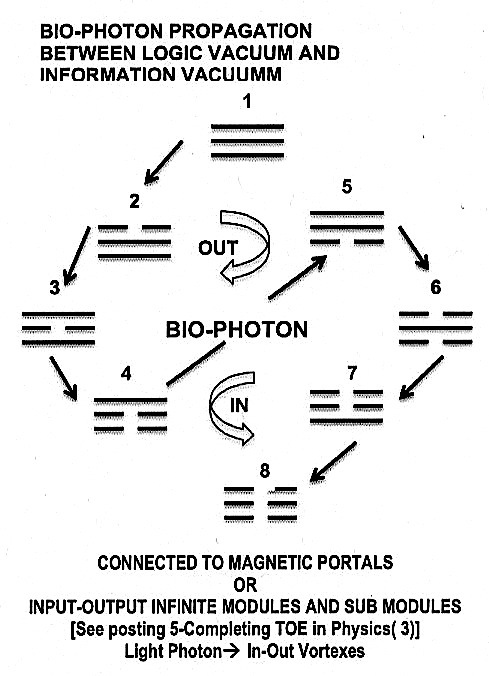 Presman proposed that electromagnetic signals are involved, and Popp suggested that a biopho­ton field is the desired answer, and DNA conformation is the source of the biophoton. 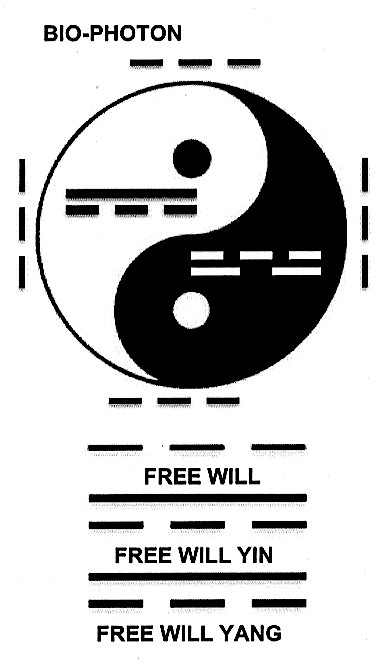 Thus, the Holon Bio-Photon—-Light—-Free Will is defined. 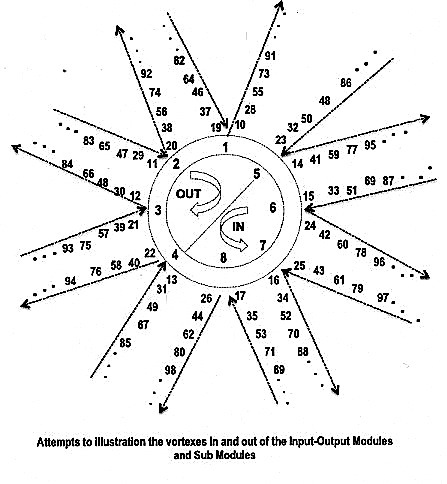 Also the Holon Magnetic Photon—-Electric Photon—-Electromagnetic has to do with Monopole—-Dipole Logic Information—-Information Energy collapses inside the NOW Matrix. STRUCTURED WATER: The present state of Structured Water is at most in a Programmed Logic-Information State, not yet collapsed onto an Information-Energy State. 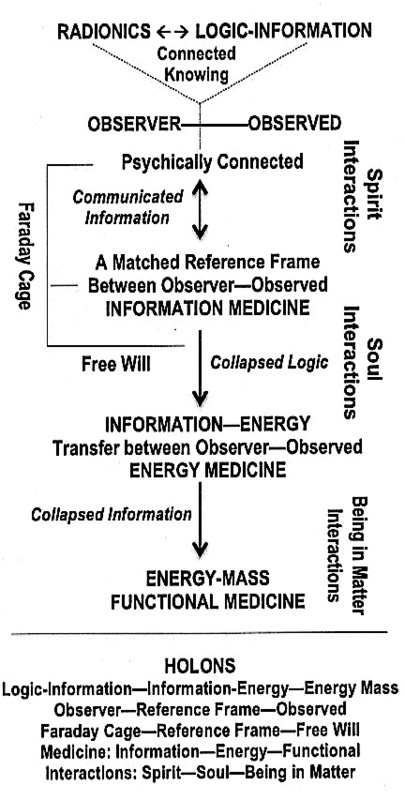 Likewise Dowsing and Placebo can also be loosely be put into a Programmed Logic-Information State of Mind—Being-In-Matter programming without a strong connected Reference Frame and a weak Information Faraday Cage. In short, Structure Water, Dowsing, Placebo are at most in a weak Yes—No Logic-Information Interactional State. FROM THE MATTER-BEING PARADIGM STANDPOINT, THIS HOLON IS ALSO A KEY TO SUCCESSFUL FREE-ENERGY, OR THE VACUUM MONOPOLE–DIPOLE TECHNOLOGY. 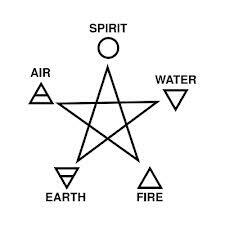 In ancient times this star symbol has been a magical mandala for warding off evil in Babylon, Egypt, Greece, India, China, Africa, the Americas, and elsewhere. 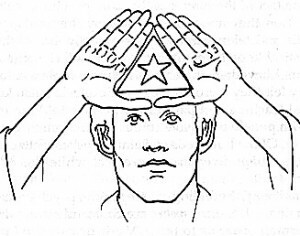 There are also the Pyramid (Collapsed In-Out Spirals or the Five Pointed Star), the Acu-Brain (Collapsed Tree of Life with correct set of Acu-Points / Reference Frame), and so on. 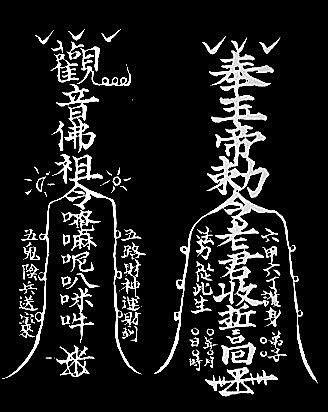 There are also the太極 (Tai Chi) /八卦 (Pa Kua) Formation, the Tree of Life, the In-Out Spirals, the series Phi, and so on. 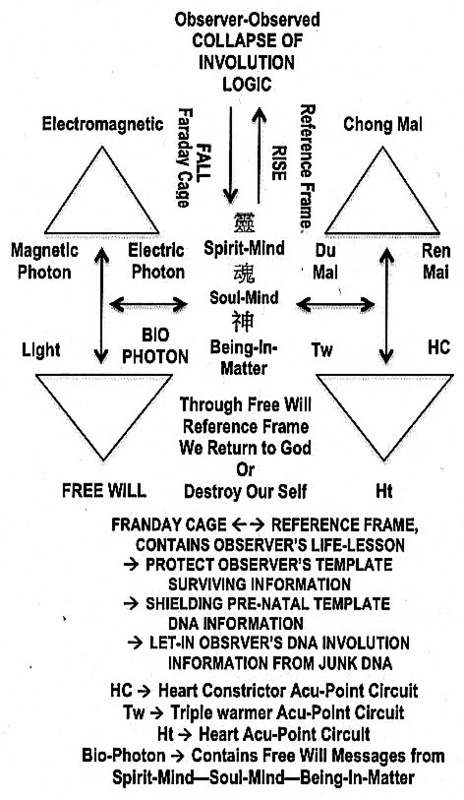 The key here is that there are always three components to the Faraday Cage; namely Spirit-Mind—Soul-Mind—Being-In-Matter. Remember, this is an Observer Participatory Universe. 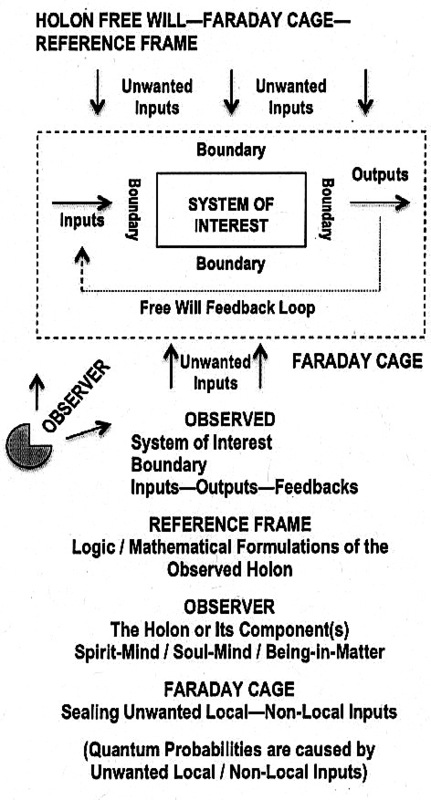 The questions would be how do the Faraday Cages of the second two [i.e., the Spirit-Mind and Soul-Mind components] influence the Being-In-Matter component or the Scientific-Technological Faraday Cage shown in the first component? Furthermore, how do these last two components defined with respect to the first? Captured-Improved-Expanded the Paradigms of David Bohm’s active information, Seth Lloyd’s computer model of the Universe, Carl Jung’s psycho-physics of synchronicity and collective consciousness, Teilhard de Chardin’s noosphere and point Omega, Jan Christiaan Smuts’ Holism and Evolution, Ilva Prigogine’s bifurcation point at singularity, Ken Wilber’s Involution-Evolution Spirituality, and the Russian’s Torsion field, Sacred-Torus-Vortex Geometry, Radionics, and Consciousness. will not be Posted here. These four Postings have to do with the mathematical / practical details of WebHealth, which also contains its computer codes.